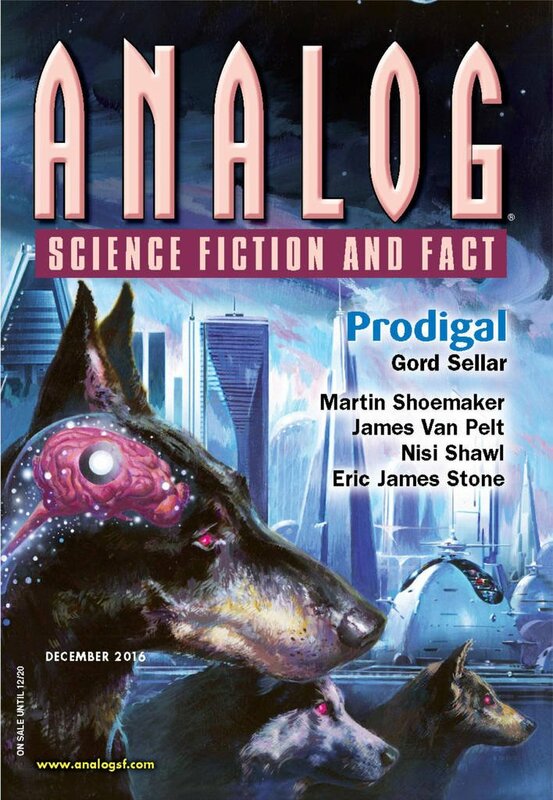 "Crowdfinding," by Eric James Stone [bio] (edited by Trevor Quachri), appeared in Analog Science Fiction and Fact issue 12|16, published on October 27, 2016 by Penny Publications. Pro: This story is a fun mystery, with a good bit of tension, and plenty of twists and surprises. Con: The ending falls flat because the solution depends on knowing that Teresa's husband worked for ElectroCar, but we aren't told that until the very end.